September 3 – The Scottish FA (SFA) has renewed agreements with Adidas and retailer JD sports taking them through to the end of 2022. 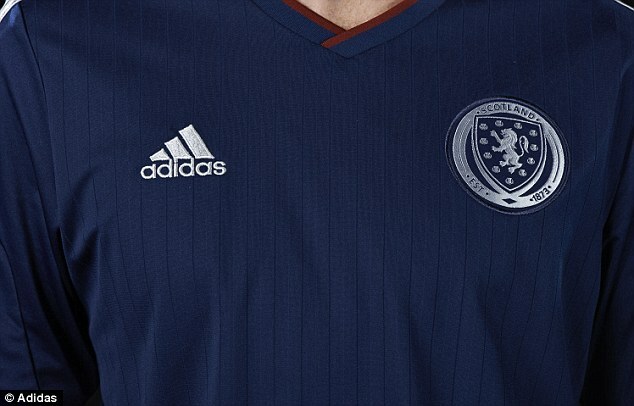 Adidas remains as the official kit supplier, while JD has continues its (SFA) sponsorship as Scotland’s exclusive retail partner. Adidas first signed with Scotland in January 2010 in a four-and-a-half year deal that was potentially worth £10 million to the SFA but with a basic value of £1.5 million a season. That would have increased to £2.5 million if Scotland had qualified for the European Championships and 2014 World Cup. The deal was renewed in 2013 but the Scots have still failed to qualify for a major tournament. Scotland is still looking to qualify for a first major tournament in more than 20 years. They get their UEFA Nations League campaign underway against Albania this week. Chris Rawlings, Scottish FA commercial director, said: “We are absolutely delighted to announce that the Scottish FA have agreed to renew our relationships with JD, our exclusive retail partner, and Adidas, our official kit supplier …These are exciting times for JD and Adidas, as their business continue to go from strength to strength and we focus on qualifying for the 2019 FIFA Women’s World Cup, UEFA EURO 2020 and 2022 FIFA World Cup. JD have been the SFA’s exclusive retail partner for the past five years and is the exclusive retail partner for official match wear, training wear and Scotland branded gifts from its 35 stores in Scotland, including Glasgow and Edinburgh airports, as well as online. JD has also had success pushing the Scottish brand in Asia, Oceania, Central Europe and recently North America, said Rawlings.